2nd Sunday in Ordinary Time, Year B | Are you listening for God’s call? Eli and Samuel, John Singleton Copley (1780), Wadsworth Atheneum, Hartford, Connecticut. Today in our readings we have the story of the call of Samuel. To appreciate the story fully, read the whole of 1 Samuel, Chapter 2 and 3. 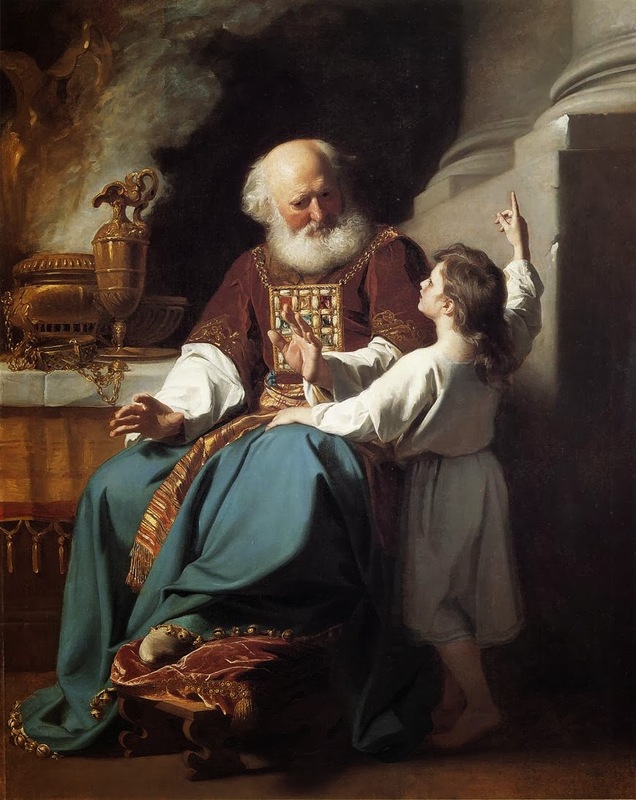 The priest, Eli, has not fulfilled his responsibility as a priest in teaching his sons to respect God, and God raises up Samuel to prophesy against him. God will allow Eli to be chastened by his enemies. In his homily for today, Fr Robert Barron relates this story to our own times: many priests and bishops have not fulfilled their responsibilities in caring for their flock, and so the Church in many ways is being chastened by its enemies (largely the secular media and secular society in general), in order to cleanse and purify us. We can see this also in the wider world in the events of the past two weeks. Aggressive secularism (typified by the blasphemous magazine, Charlie Hebdo) does not teach people to respect God, and so God allows them to be chastised by their enemies, aggressive Islamic fundamentalists. For a further Scripture Study of today’s readings by Dr John Bergsma, on the personal nature of God’s call, go here. Categories: Parish Newsletters and Readings | Tags: 1 Samuel, 2nd Sunday, Eli and Samuel, Fr Robert Barron, Interpreting Charlie Hebdo, John Singleton Copley, the Call of Samuel, Wadsworth Atheneum, Year B | Permalink.